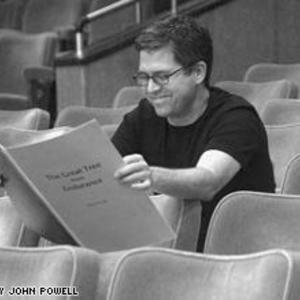 John Powell is a British film score composer born on 18 September 1963, and currently based in Los Angeles. Powell originally trained as a violinist as a child, before studying at London's Trinity College of Music. He later ventured into jazz and rock music, playing in a soul band The Fabulistics. On leaving college, he composed music for commercials, which led to a job as an assistant to the composer Patrick Doyle on several film productions, including Much Ado About Nothing. Powell originally trained as a violinist as a child, before studying at London's Trinity College of Music. He later ventured into jazz and rock music, playing in a soul band The Fabulistics. On leaving college, he composed music for commercials, which led to a job as an assistant to the composer Patrick Doyle on several film productions, including Much Ado About Nothing. In 1995 he co-founded the London-based commercial music house Independently Thinking Music, which produced scores for more than 100 British and French commercials and independent films. Since moving to the U.S. in 1997, he has become a popular choice for comedy and action film scores, including Robots, The Italian Job, The Bourne Identity, The Bourne Supremacy, The Bourne Ultimatum, Shrek, Chicken Run (co-composed with Harry Gregson-Williams), Endurance, Ice Age: The Meltdown and Face/Off. Powell is one of the best known former members of the Remote Control (formerly known as Media Ventures) team of film composers and has a scoring style that incorporates both traditional orchestral and more modern, synthesized elements. He recently wrote the scores for X-Men: The Last Stand, United 93, Happy Feet, The Bourne Ultimatum, Mr. & Mrs. Smith, and How to Train Your Dragon. He is signed to score The Brazilian Job. He lives in the United States, married to photographer Melinda Lerner. They have a young son, 5 cats and a dog.